I’ve been carrying the Moto Z from Motorola for several weeks now and I’m really falling in love with the modular aspects of this phone. I firmly believe that we have been focused too much on making these things thin, which has made them harder to hold, done ugly things to battery life and thermals, and generally made the devices far less useful over time. In short, we’ve focused on form over substance and this was largely driven by Apple’s strong marketing rather than our own wants and needs. The Moto Z starts out as thin as any phone out there, but it has the unique capability of being modular. 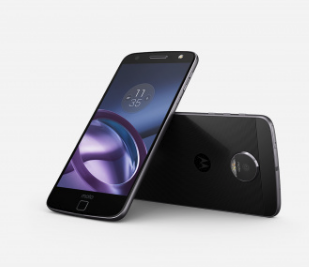 The Moto Z Mods come in a variety of forms, extended battery, speaker, printer, camera, gamepad, 360-degree camera, projector, and, most recently the announced 5G mod. My personal favorite is the Moto Turbopower battery pack because it adds an additional 16 hours of battery life, but it also makes the phone fit in my hand better and I’m less likely to drop the thing. Unlike a typical battery case, this integrates with the phone and updates it to wireless charging. The Hasselblad True Zoom camera mod is amazing in that it pretty much turns the phone into a digital SLR with 10x optical zoom, full Xenon flash, and a better grip for enhanced camera control. The Moto Gamepad is interesting because it adds Nintendo-like controls to the phone, which not only improves gameplay but keeps your fingerprints off the screen. Most 360 cameras wirelessly connect to the phone, but this makes them awkward to use because you have to juggle the camera (which has no viewfinder) in one hand and your phone in the other. This mod integrates the two items, making it far less likely you’ll drop the camera or phone, and more likely you’ll get a steady shot. The speakers are very easy to use but I think I still prefer a wireless accessory because I’m likely to want to use the phone while listening to music and having the speaker attached to the back makes this awkward. But, in terms of volume for size, the speakers crank out a lot of sound and don’t take up a lot of room in the backpack. The Moto Stereo Speaker provides some separation between the stereo channels. Another interesting mod is the Insta-Share projector, which could be used in a dark room for presentations or in a dark hotel room to stream movies or show pictures. For its size it puts out a lot of light and could be useful in a pinch if you need to share a PowerPoint presentation. I doubt I’d use it though. Perhaps the most interesting mod is the new Moto 5G, which allows you to upgrade the phone to 5G technology when those networks go live. Because you’d likely stress figuring out whether to use the battery mod or the 5G mod, this one has both, so you don’t have to give up battery life for network performance. But this allows you to uniquely upgrade your 4G Moto Z to a 5G phone for a fraction of the money. What these mods do is extend the revenue cycle of the phone for Motorola and extend the capabilities of the phone for the user. Typically, the manufacturer only sees the purchase of the phone and often the accessories, like cases, while revenue flows to third parties. With the mods, the revenue from each phone is extended to the mods. For the user they get more of a custom phone experience that results from the mods they purchase, so it is a win/win. It strikes me that if Motorola had the kind of marketing budget that Apple enjoys, this modular approach, which is unique, could become dominant.